Art is the life of the school. We have very creative students who are always encouraged to express themselves in anyway possible and most of them do this through Art. 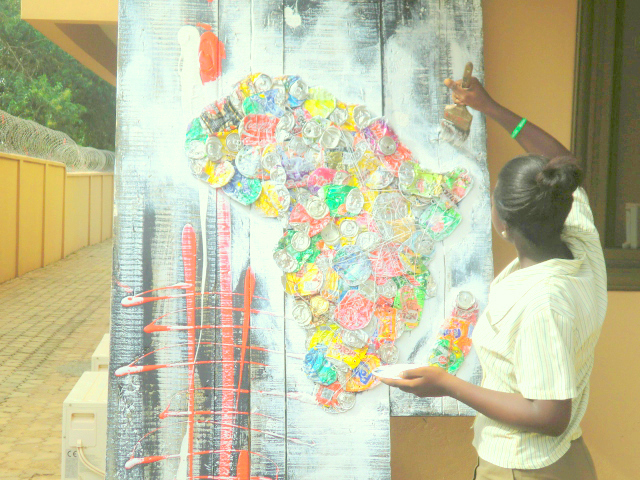 This talented students used cans from drinks. Look how amazing that looks. Did the work made from cans of drinks? Yes they were made from cans of drinks…Thank you. Your art of Ghana is wonderful. In Ghana, is the social problem expressed by art? Regrettably, students in Japan seldom get interested in social problems.